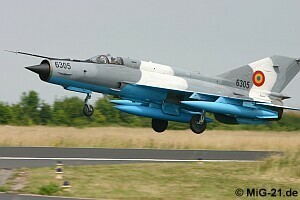 In the morning of June 25, 2008 the author surprisingly was told, that a MiG-21 is to land at Erfurt airport in a few hours. 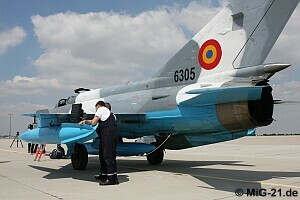 After a few inquiries the information proved to be true: A Romanian MiG-21 LanceR C from Baza 86 Aeriana at Feteşti made a fuel stop on their way from home base to Reims in France. 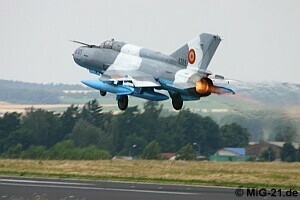 So the author undertook his so far shortest trip to the MiG-21. 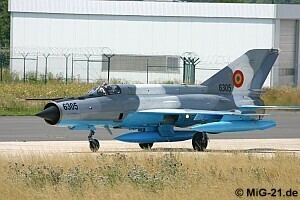 Thanks to the very helpful airport management he arrived in time to witness two passes with full afterburner (!) 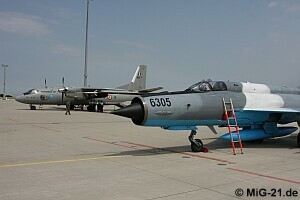 and the subsequent landing of the MiG-21 and - later - of the accompanying An-26. 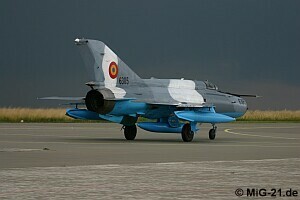 Unfortunately the passes took place in a heavy thunderstorm with bad lighting conditions. This picture shows how dark the sky had become at the time of landing. Immediately after arrival of An-26 the ground crew started refueling. 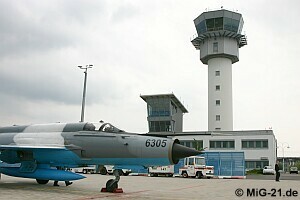 Never to be seen before: MiG-21 in front of Erfurt airport tower. 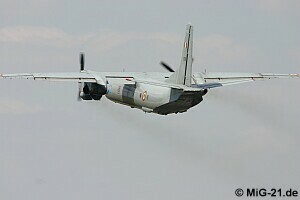 ... as well as of the An-26. One day after its participation in French National Day parade in Paris 6305 with its support aircraft again made a stop at Erfurt. 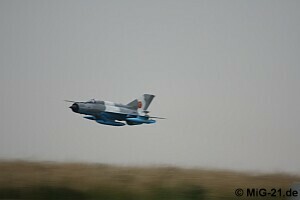 This time weather was on spectators side, but unfortunately the second pilot Capitan Moise did not make any show. 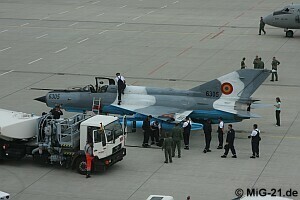 ... there was no problem for the maintenance crew to prepare aircraft in time. 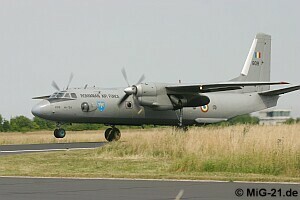 ... and An-26 took of for continuation to Brno (Czech Republic). 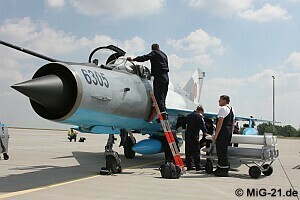 It is left to hope that this was not the final MiG-21 visit to Germany. The author wishes to thank all members of Erfurt Airport staff who made this visit possible, especially Ms. Juliane Schneider, Ms. Alice Walther and Mr. Thomas Ludwig.